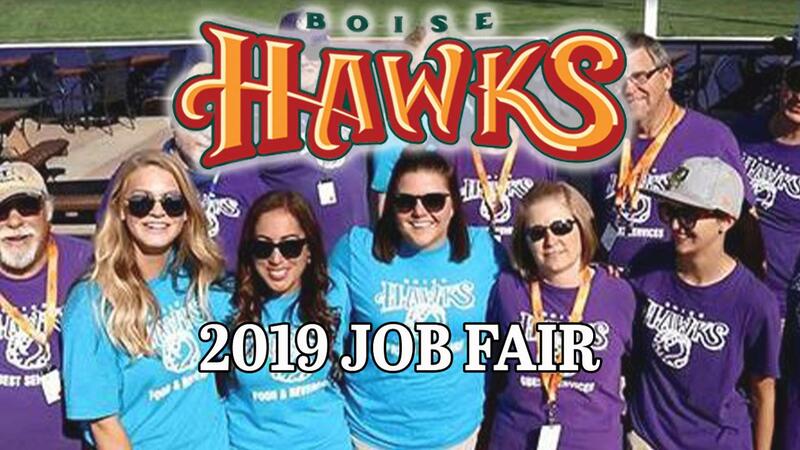 BOISE, ID: The Boise Hawks, Single-A Affiliate of the Colorado Rockies, have announced the date of their annual seasonal job fair for the 2019 season on Saturday, April 27th from 10 AM to 1 PM at Memorial Stadium. The Hawks are in search of dedicated and reliable personnel to join their game day staff for the upcoming season. They are looking for a variety of skill sets and personalities, but most importantly, they are looking for individuals who can contribute to the positive experience of their loyal fans and guests. There are thirty-eight (38) home games at Memorial Stadium. Position hours differ, but range from 1 PM to 10:30 PM. Operating hours are dependent on game duration, which can vary. The Job Fair will consist of standard applicant paperwork and brief personal interviews with Boise Hawks Management. All applicants must be 16 years of age or older. The Hawks are looking to fill the following (but not limited to) positions: ticket takers, ushers, cooks, servers, food runners, hawkers and promotional support team members. The Boise Hawks will be hiring on the spot so all applicants are encouraged to bring an ID and social security card. The Hawks are the Treasure Valley's top stop for affordable, family entertainment. The Boise Hawks announced that they will be hosting the Northwest League / Pioneer League All Star Game Powered by Your Local Toyota Dealers this year. Deposits for all season seat plans (guaranteeing tickets to the Northwest League / Pioneer League All-Star Game) are currently being taken. To stay up to date on all things Boise Hawks, follow us on Facebook (www.facebook.com/boisehawksbaseball) or visit www.BoiseHawks.com.